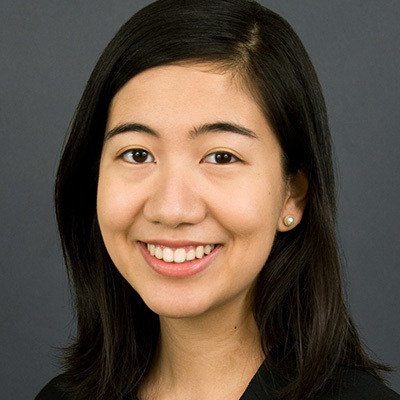 Aileen Ma is a Senior Associate at Penn Hill Group where she provides project management as well as research, consulting and lobbying support. She also participates in driving Penn Hill’s advocacy training and strategic convening work strands. She works on a variety of issue areas spanning from early learning and K-12 to higher education and workforce development, including arts education, special education, competency-based education, college access and persistence as well as accreditation. Her interests in education policy also extend to multicultural education, bilingual education and international education. Prior to joining Penn Hill Group, Ma supported the Mandela Washington Fellowship for Young African Leaders (YALI) and the Global & Executive Programs at the Goldman School of Public Policy. She helped plan and execute for civic leadership trainings for international delegates on topics ranging from early childhood education policy to public-private partnerships. Ma has a bachelor’s degree in media studies and a minor in public policy from the University of California, Berkeley. She is also a 2015–16 alumna of the Washington, DC, Education Policy Fellowship Program. You can reach Aileen at ama@pennhillgroup.com.